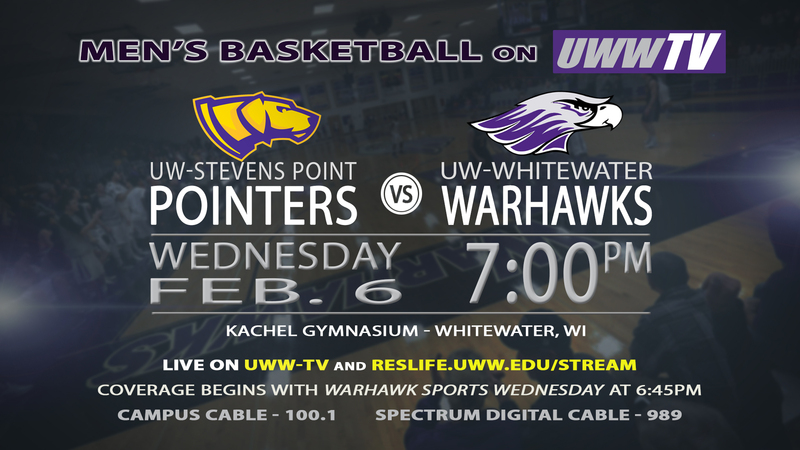 UWWTV – Men’s Basketball to Host UW-Stevens Point, Tomorrow LIVE on UWW-TV! 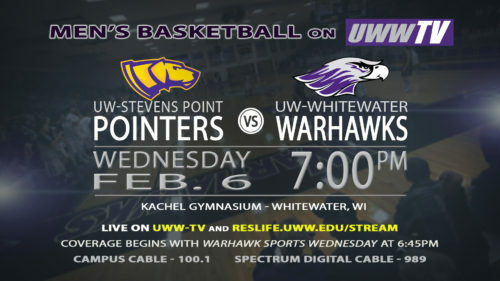 Warhawk basketball hosts UW-Stevens Point in a WIAC match-up tomorrow, LIVE on UWW-TV. Ball toss is set for 7:00 pm CDT, but you’re going to want to tune in at 6:45 pm CDT for Warhawk Sports Wednesday and all of the WIAC pre-game you could wish for. Both teams come into this contest with a 14-6 overall record. Stevens Point is out for blood in the WIAC with a 6-4 in conference record, while the Warhawks sit at a bottom heavy 3-6. Both teams are moving with force this season, but this game could move the needle in either direction for either team. This is not a game that either team wants to lose, and you are not going to want to miss it! So tune in tomorrow night to UWW-TV at 6:45 pm CDT for the full DIII Basketball experience!